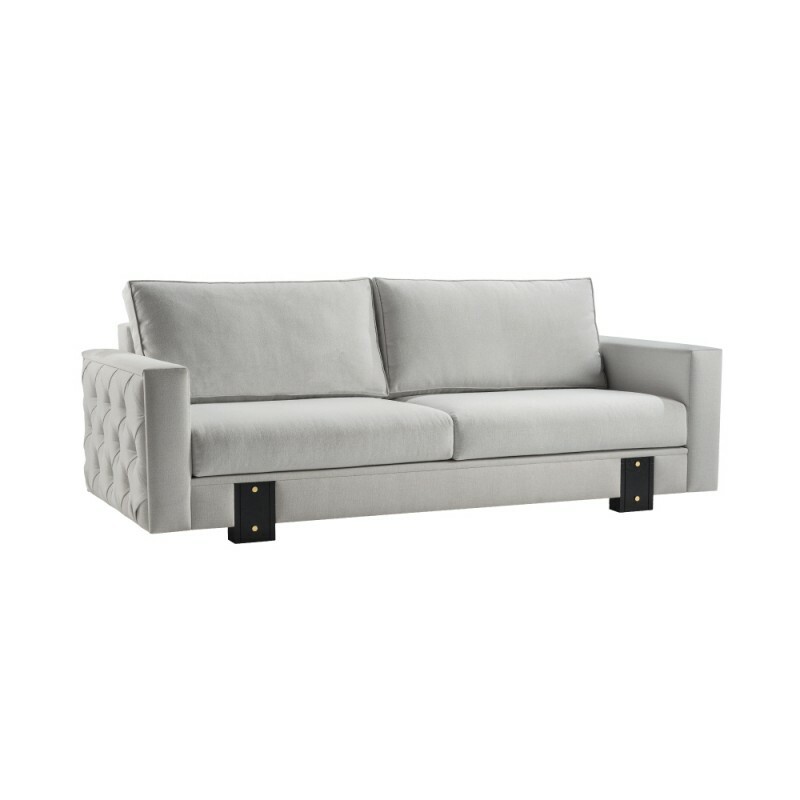 3 seater thought to create a functional and basic sofa but with the sophistication of quilted details on its armrests which are aesthetically pleasing and also functional. 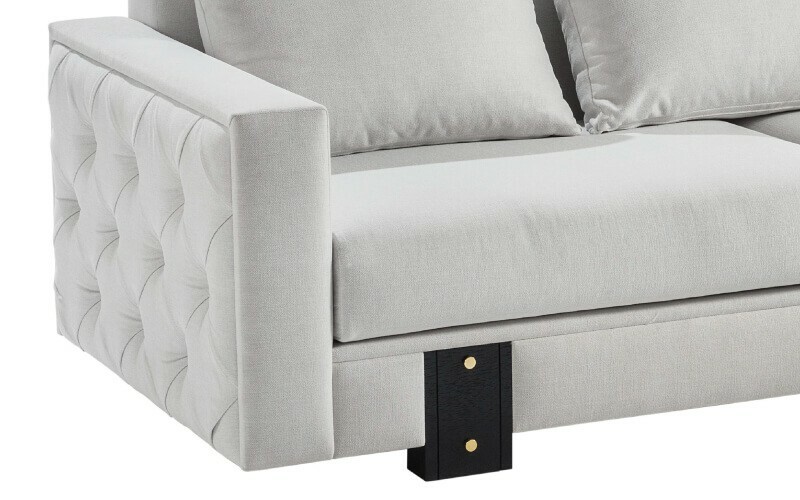 Comfort is highlighted by the softness of the cushions. 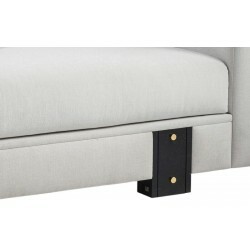 Exposed wooden legs with delicate metal studs decorate the front of the sofa. 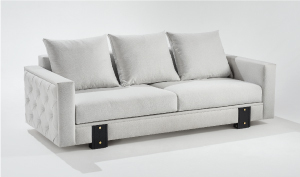 The AH Signature sofa is one body structure with complete capitonné finish and two decorative pillows as part of the concept. 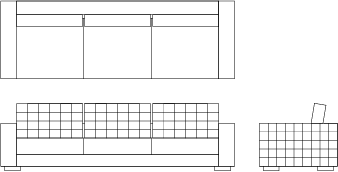 It’s characterized for its soft and straight lines and an extended depth. 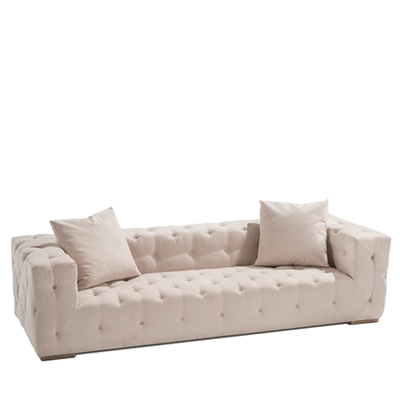 This makes this sofa useful for a big living room or a more intimate, smaller space. 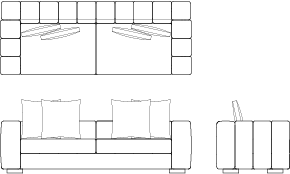 You can choose any type of basic fabrics for the structure and spice things up, with fabric contrast or accent fabric for the decorative pillows. 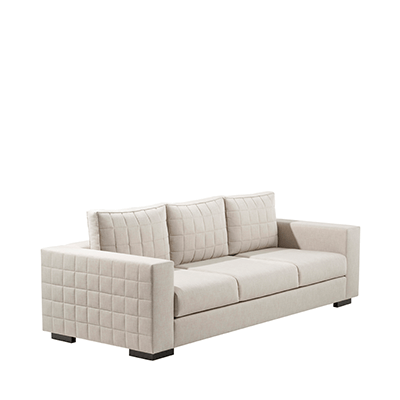 A fusion of the contemporary and the sophisticated, this model is ideal for livening up a living room. 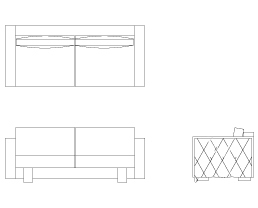 Its curves make it delicate and comfortable. 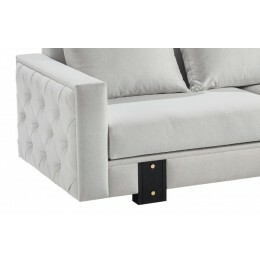 It allows the combination of two materials: leather and fabric. 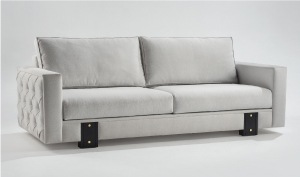 It includes equestrian elements represented by the brands icon, a mark of the sofas authenticity. 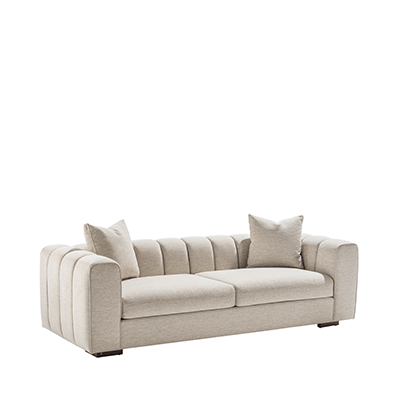 This sofa combines smooth lines, sophisticated stitching and comfortable feeling which embodies richness in both design and function. The back features refined construction details with stitching which gives the sofa an elegant and comfy look. 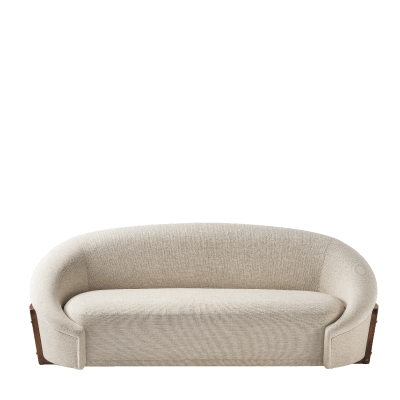 The sofa features a crescent shape sitting on a curvilinear wooden base. 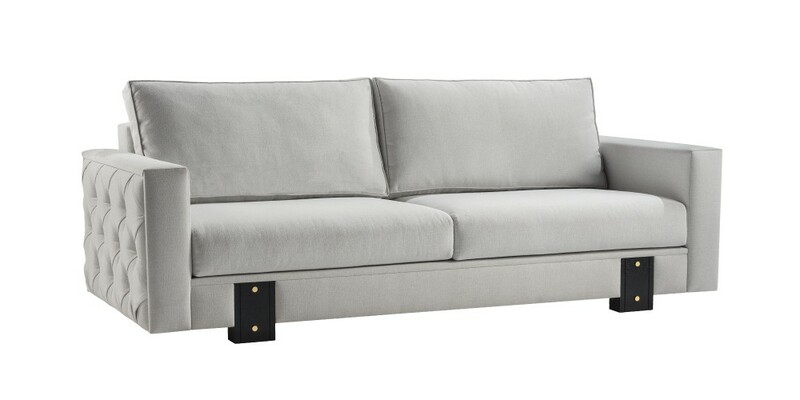 Inspired on the delicate curves of the rumba dancers, the sofa offers a contemporary design. 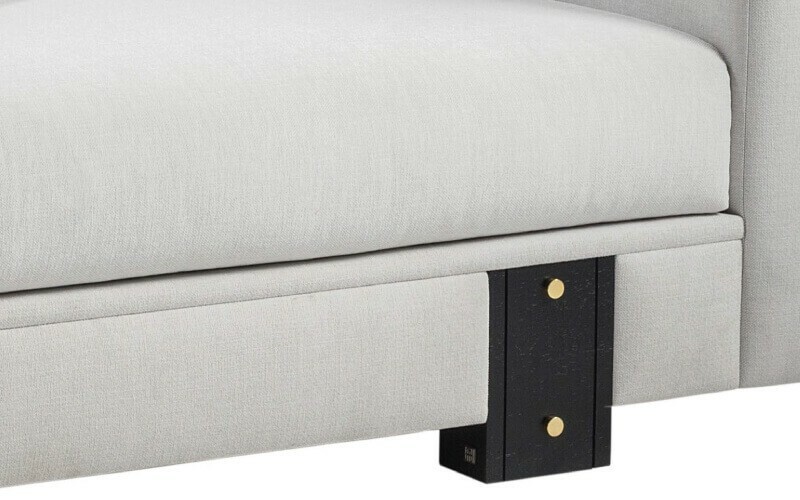 Also, including metal studs on the wooden frame, this sofa is the result of ADRIANA HOYOS’ captivating innovation.